"The country is worried about the terror attacks happening in Jammu and Kashmir for the last few days. It is not hidden from the people how BJP and especially PM Modi are trying to hide their failures in the garb of what is happening there," she said while addressing party workers in Lucknow. 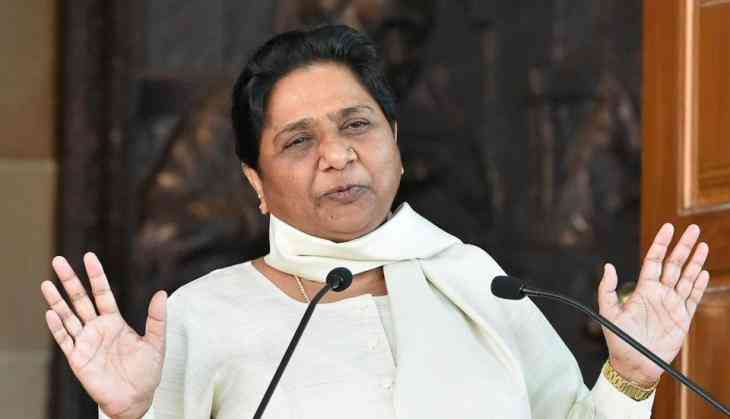 Mayawati called the meeting to give guidelines to BSF workers on the party's alliance with SP. Earlier, she had criticised PM Modi for "ignoring" matters of national security and trying to serve political interests. "At a time when India is facing hostility and the country needs firm leadership, PM Narendra Modi, instead of concentrating on the matters of national security, is trying to serve political interests by addressing BJP workers. It is ridiculous, besides betrayal of national sentiments," she had said. Samajwadi Party and Bahujan Samaj Party have decided to contest 37 and 38 Lok Sabha seats respectively in Uttar Pradesh. Varanasi, represented by Prime Minister Narendra Modi, has gone to the SP kitty. UP has a total of 80 Lok Sabha seats. The two parties have also agreed not to put up candidates from Rai Bareli and Amethi, represented by UPA chairperson Sonia Gandhi and Congress president Rahul Gandhi respectively. Congress has decided to contest all the 80 seats after the party was not made a part of the SP-BSP alliance. The Congress leadership has said that the party will fight the Lok Sabha polls with 'full force' in Uttar Pradesh.